Loved by instructors for the visual and flexible way to build computer skills, the Illustrated Course Guides are ideal for teaching Microsoft PowerPoint 2013 to students across experience levels. Each two-page spread focuses on a single skill, making information easy to follow and absorb. 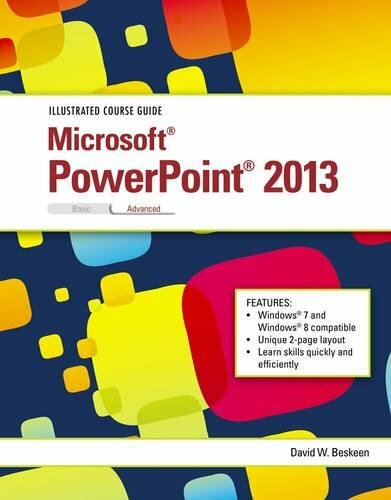 The Illustrated Course Guides split Microsoft PowerPoint 2013 concepts and skills into three manageable levels - Basic, Intermediate, and Advanced - perfect for workshops or accelerated courses.